"There could not have been a lovelier sight; but there was none to see it except a strange boy who was staring in at the window." 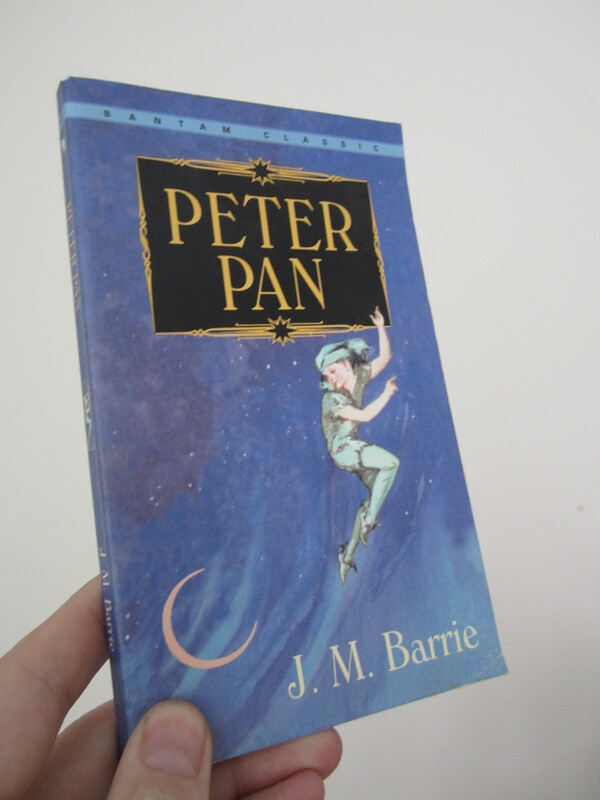 The famous story of Peter Pan was first published as Peter and Wendy in 1911, and later as Peter Pan and Wendy in 1921, but the story made its debut on stage in 1904. Peter Pan is one of those stories that most everyone knows about, but for some reason or another have never read the book. And the book (more a novella than a full-sized novel) is truly exceptional. “The night’s work was not yet over, for it was not the redskins [Hook] had come out to destroy; they were but the bees to be smoked, so that he should get at the honey. It was Pan he wanted, Pan and Wendy and their band, but chiefly Pan. “Peter was such a small boy that one tends to wonder at the man’s hatred of him. True he had flung Hook’s arm to the crocodile; but even this and the increased insecurity of life to which it led, owing to the crocodile’s pertinacity, hardly account for a vindictiveness so relentless and malignant. The truth is that there was a something about Peter which goaded the pirate captain to frenzy. It was not his courage, it was not his engaging appearance, it was not –. There is no beating about the bush, for we know quite well what it was, and have got to tell. It was Peter’s cockiness” (pg. 112). The writing, even an adult can enjoy, is deft and flawless. “One green light squinting over Kidd’s Creek, which is near the mouth of the pirate river, marked where the brig, the Jolly Roger, lay, low in the water; a rakish-looking craft foul to the hull, every beam in her detestable like ground strewn with mangled feathers. She was the cannibal of the seas, and scarce needed the watchful eye, for she floated immune in the horror of her name” (pg. 125). That’s but one paragraph among many showcasing Barrie’s skill as both writer and storyteller; for after all: these are not one in the same. Some of the things not often found in Pan movies: After Peter Pan saves Tiger Lily from Capt. James Hook at Mermaids’ Lagoon, the Never Bird saves Peter from drowning (Pan is too injured to fly or swim); Tinker Bell does die, as well as Nana, beloved nurse-dog; and the crocodile finally has the full meal of Capt. Hook; and Pan, who has forgotten there ever was a Capt. Hook and Lost Boys, flies off with Jane, Wendy’s daughter in the end. “There could not have been a lovelier sight; but there was none to see it except a strange boy who was staring in at the window. He had ecstasies innumerable that other children can never know; but he was looking through the window at the one joy from which he must be for ever barred” (pg. 152). A recommend for any and all. A wonderful story. A beautiful story. Pingback: never is an awfully long time. | more than 140 characters. Hi mates, good paragraph and good urging commented at this place, I am actually enjoying by these. email. I look forward to hearing from you! Wonderful blog by the way!